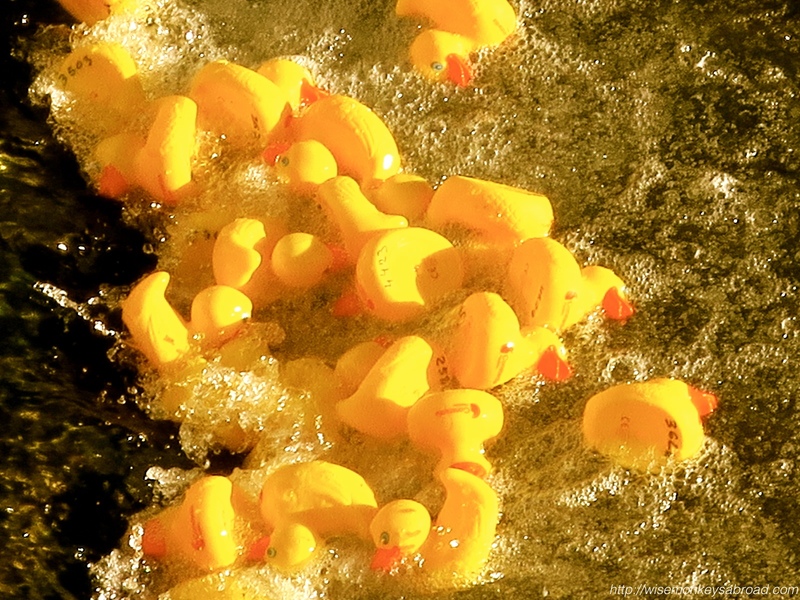 I keeph hearing about these rubber duck races though I’ve never seen one myself – they sound so fun and quirky! I love those vibrant yellows! We had never heard of it until that day when we turned up to the river only to find hundreds of people milling around. What a rather unusual and amusing thing to witness 🙂 Thanks so much for stopping by. Hope you are well and have a wonderful festive season. Thank you 🙂 It was fun to watch and photograph! It was pretty cool to witness 🙂 Hope you have a great festive season ahead! Thank you so much 🙂 It was definitely a wonderful sight for us to see! Awww… Yvette! You are making us blush, smile and all fuzzy wuzzy inside 🙂 Thank you so much for your generous words! How cute, and perfect for the challenge. What a fun race. It was very cute! We really were pleasantly surprised to see it 🙂 Hope you are well and have an incredible week ahead and enjoying the festive season. Thanks. I’m enjoying being on holidays. Best wishes to you too. Done! We will bring Sydney to our readers… or at least try to 🙂 We get so caught up on visiting places we haven’t been that we forget there is a city to see right on our doorstep. Thanks Mabel for reminding us and for giving us the nudge. The most quirky thing I’ve seen was a cane toad race in North Queensland. The person who bet on the winner had to kiss it. Ugh! Yikes!! Kissing cane toads?? No way – that is not an incentive to win… 😉 That is definitely a quirky kinds race and prize! What fun this would be to see? A real yellow spectacle. 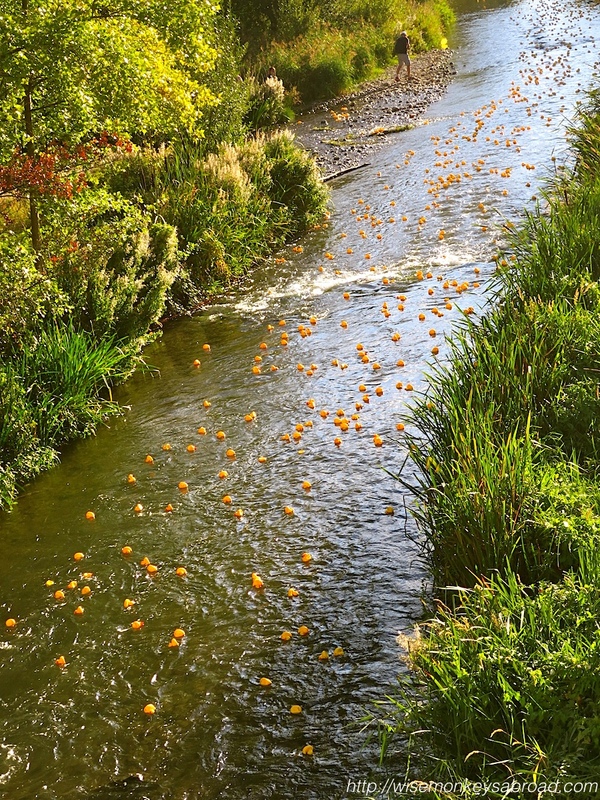 It was amusing 🙂 We had no idea what was going on… in the distance, we could see these little yellow things heading downstream so we asked a local what was going on and he explained a duck race… and we thought they were REAL ducks until we saw what they really were! Hehehe. Thanks for stopping by and we hope you have a wonderful festive season. Thanking you K! It has definitely been a wonderful year for us too – both following you and having you following us along! Forge great friendships with people we know only through their blog. We wish you a happy Christmas also and a fabulous 2015. In my hometown they have a duck race in the city pond as well. However it is pretty boring compared to a race in a river! Hope you guys enjoy the festive season.